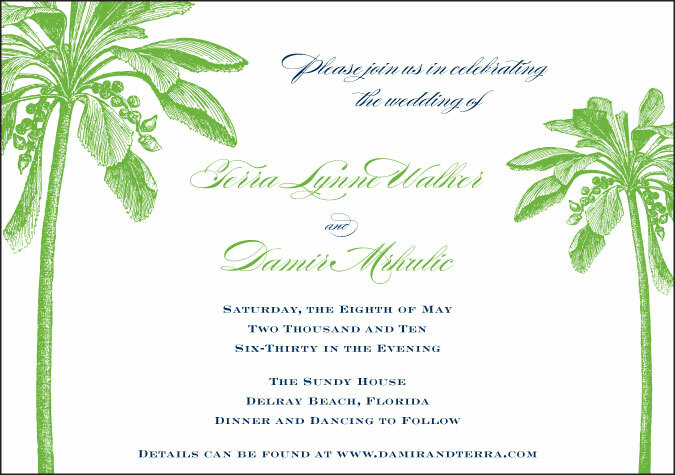 A few months ago I had the pleasure of working with Terra and Damir on their destination wedding invitations. 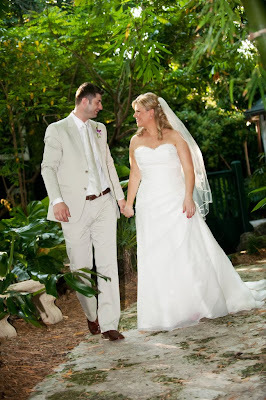 They live in New York and were married in Delray Beach, Florida at the Sundy House. 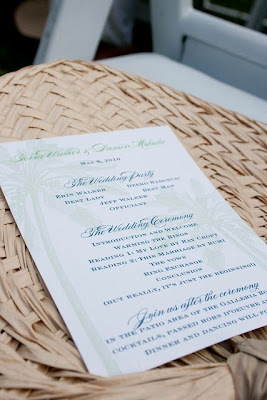 Recently Terra sent me some of her gorgeous photos from her photographer, Elizabeth Monge from Studio-Elizabeth. 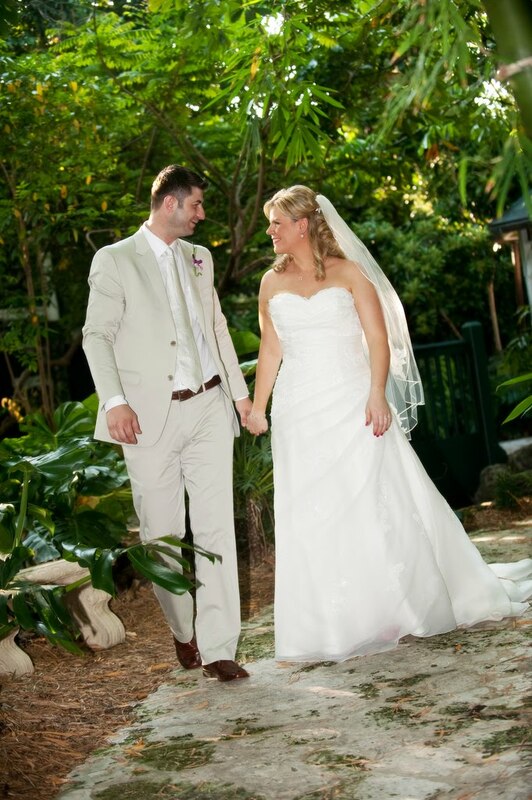 I love the gorgeous backdrop of this photo and what a beautiful photo of the stylish couple! 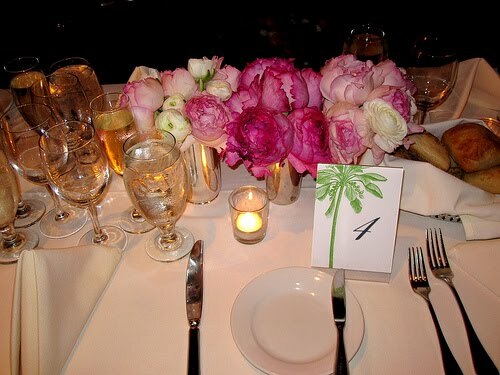 I love the green palm tree set against the back drop of those gorgeous pink flowers! 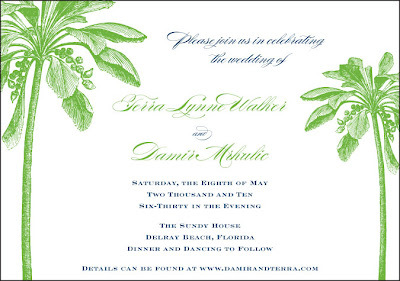 Here are is an image of the palm tree wedding invitation Terra & Damir used... Thank you Terra for sharing your beautiful photos and to Elizabeth Monge for letting me share them! 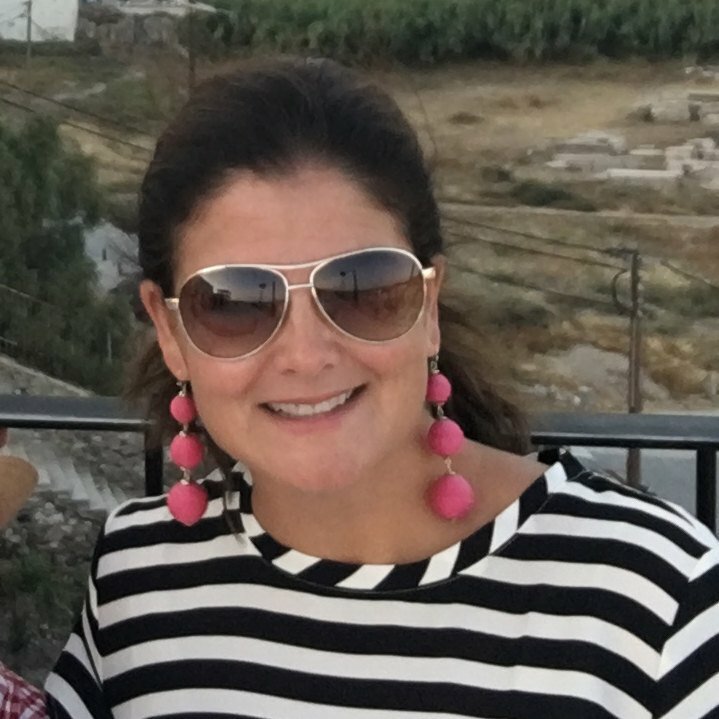 Thank you again for all of your wonderful work....you REALLY saved the day. I am telling all my friends about you!